If you are in the business that deals with a colossal amount of cash every day, then you must have heard of the automatic money counter. Probably, you already want to buy this machine to enhance your cash management. The fact is that these are some of the best machines that you can have in your business. 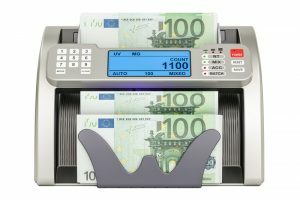 The automatic money counter makes the management of cash pretty easy by automating almost every function of the cash counting. However, for those interested in buying these machines, they should know something about these machines. The speed of the automatic money counter is equivalent to its performance in some way. It is one of the critical features that measure the performance of the machine. Therefore, you need to ensure that you’ve gotten the best out of the machine. Depending on the need of your business, you can choose from the various speeds. However, an automatic money counter that counts about 1000 bill per minute is the best option. For the banks and almost all institutions that deal with cash, batching is one of the crucial features to look out for. For instance, if you want to keep the money in small batches, then you only need to set the machine, and it will do the rest. That is a function that most people do manually hence the need to look for it. Batching is one of the features that makes automatic money counter popular. Half, chain and double notes are some of the common defects of banknotes. If you have such notes, there may be a need to have them check for authenticity. However, these defects can be exploited by criminal elements. That is why the machine should be able to detect them for verification. The last feature that makes a good automatic money counter is the fake bills detection features. You need to check the technology that the brand has put in place to detect fake bills. Among the must-have methods is a high quality UV, IR, IM and MG amongst others.